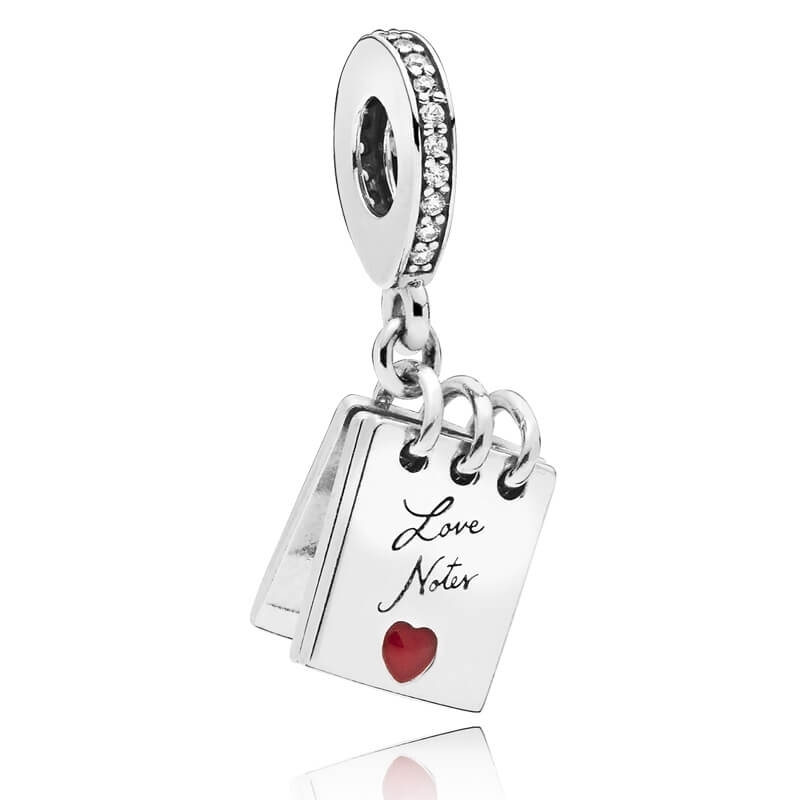 PANDORA Love Notes Pendant Charm. A charm effortlessly filled with romance. A wearable love note, she can keep forever. Sterling silver pendant charm embellished with a red enamel heart and engraved with 'Love Notes' and 'I love u'.